The Samuel Jordan Center for Persian Studies and Culture was made possible through the generosity of Dr. Fariborz Maseeh and The Massiah Foundation. The Samuel Jordan Center for Persian Studies and Culture, established by the School of Humanities in collaboration with the Claire Trevor School of the Arts, is a center dedicated to drawing on the strengths of the entire UC Irvine campus. The Center serves as a resource for the research, instruction and celebration of Persian history and culture. Dr. Fariborz Maseeh is the founding benefactor of the Samuel Jordan Center for Persian Studies and Culture. 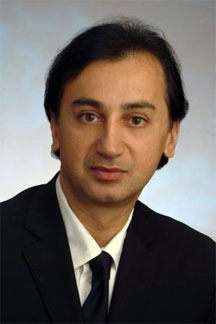 The Iranian-born Maseeh is a worldwide expert in micro-electro-mechanical systems, or MEMS. After earning a doctorate in engineering from Massachusetts Institute of Technology, Dr. Maseeh founded IntelliSense in 1991. It was the first company of its kind for the custom design, development and manufacturing of next generation MEMS devices – tiny, computer-controlled chips used in products ranging from cardiac pacemakers to aircraft landing gear. After IntelliSense was acquired in 2000, Dr. Maseeh established the Massiah Foundation, whose mission is to make significant improvements in education, health, arts, literature and science. Maseeh considers himself a “venture philanthropist,” applying business concepts to his philanthropy. He considers his gifts as investments and looks for causes with clear objectives and broad markets. Maseeh serves as a UCI Foundation trustee and sits on engineering advisory boards at UCI’s Henry Samueli School of Engineering, the University of Southern California and Portland State University. He has endowed several chairs in various engineering disciplines at MIT and PSU. He is chairman of the Children’s Hospital of Orange County Foundation and serves on a number of community boards, including the Boys and Girls Club of Boston.